My name is Mark Palmer and I will in interning here at Family Cakes Company until November. I am studying abroad this fall at Imperial College until December. I am originally from the frozen tundra of Minnesota back in the U.S. I go to St. John’s University in Minnesota not to be confused with the one in New York. 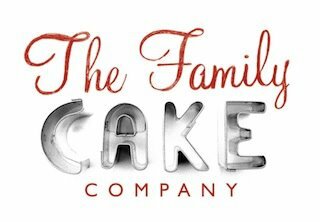 I had the privileged of being connected to Family Cakes Company for my internship and I am excited to work here and be part of the business. When I first heard about my internship, I think all my classmates were more excited for me working at Family Cakes Company than I was, since they thought they would be getting free cakes. There is a joke at our school about how much the girls love ice cream. Long story short; be careful around the ice cream machine, since you never know when a hungry girl is going to run you over for her second or third helping of ice cream. I didn’t know anything about the company before my placement, but after reading the previous blogs and checking out some of the cakes they have done, it seemed this companies knows a thing or two about making some superb cakes. I am looking forward to working in this new environment and lending a hand to Nicola in the office or maybe Anna in the kitchen to make some super duper cake, I can only dream of making on my own. So far this week has been quite interesting. I arrived in on Tuesday for my first day of work, to be almost run over by loads of trays of food getting ready to be shipped out. Went upstairs to see what gruelling task I would be forced to do by Nicola. Luckily I was fortunate enough to get the job of working at the computer, looking over the blog, telling people Daniel wasn’t here and no, I didn’t know where he was coming back. I think I will be having that task for quite some time. The day went by rather fast, talking Nicola about the company and how much help I am going to be. It was a pretty low stress day overall, had a good chat with Daniel and Nicola about how to get our cakes into the bellies of cake lovers around the town. I hope to make difference at Family Cakes Company while I am here in the big city that is London. I hope to help in whatever way I can to make sure that stomachs are full after eating our numerous cake options. I plan on being valued member of the Family Cake’s family and I hope my experience will teach me how a business run on a day to day basis. (Those who wish to see my handsome face, don’t worry, I won’t make my fans wait too long).